The Summer sun has arrived, and I am sure you have already been through the stresses of trying to buy a suncream for your babies and children that donâ€™t have any nasty chemicals in them. Perhaps you are trying to find a sunscreen that wonâ€™t cause any allergic reaction. The two main ingredients in suncreams are titanium dioxide and zinc oxide, and either can cause allergic reactions. However there are roughly 30 other ingredients added to suncreams, so if your child is having a reaction to a suncream, it may be difficult to pinpoint which chemical they are reacting to. My best advice would be to buy one of my recommended suncreams listed below. The chemical that you really need to avoid is called monosodium glutamate (MSG). This chemical alone has more than 40 different ingredients. Â The ingredient carrageenan is also linked to MSG, as is Maltodextrin. So as you can see the chemicals the industry use are cleverly hidden, and thats why it’s so difficult finding a sun lotion that you fell safe using. With the vitamin deficiency on the increase, some parents are moving towards allowing little ones sun in order to get their vitamin D and then moving them in the shade under a parasol or covering them up in hats and long sleeves after a short while. We still need to have a responsible attitude towards the sun and need to be careful and stay out of it while the sun is at itâ€™s strongest, and although I don’t agree that this is wrong, it’s not for everyone. But is probably safer than applying some of the suncreams supermarkets sell. 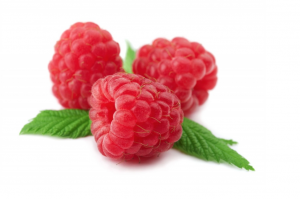 If you are looking for a totally natural sunscreen that are totally natural and organic and chemical free try red raspberry seed oil, which has a natural SPF of 28-50, Carrot seed oil which has an natural SPF of 38-40 or wheattgerm oil which has a natural SPF ofÂ 20. The are also much cheeper than the sun creams listed below. 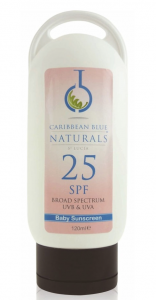 Caribbean Blue Sunshield Sunscreen Â (Â£16.95)Â is made by a natural skincare company based in the UK. It is a brilliant product for your garden loving children. 100% natural. No synthetic chemicals are used in this product. They have a whole range to chose from, one specifically for baby called Natural Baby Sunshield. Lavera suncream (Â£11.99) is very good, smells really lovely. However the wording on the sun bottle is a little misleading. you have to apply the suncream 15 minutes before letting your little ones in the sun. The factor is also relatively high, a SPF of 50. Lots of my birth doula clients use Green People, however I find this product thick and junky and often makes little ones eyes stream. Green People unscented suncream has sodium stearoyl glutamate (SSL). green people also use nanoparticle zinc oxideÂ another nasty chemical. I would advice to avoid Green Peoples suncreams. Ultra Bee sun block contains zinc oxide so not one that I would recommend using this Summer. Aloe Pura Organic Aloe Vera Sun Lotion usesÂ Â phenoxyethanol and nano technology. Yaoh Organic Hemp based sunblock. Says itâ€™s organic however the ingredients listed confirms that it’s not organic or natural at all.